At GT Recycling our goal is to create a recycling solution that will not only benefit our customers, but also the environment. 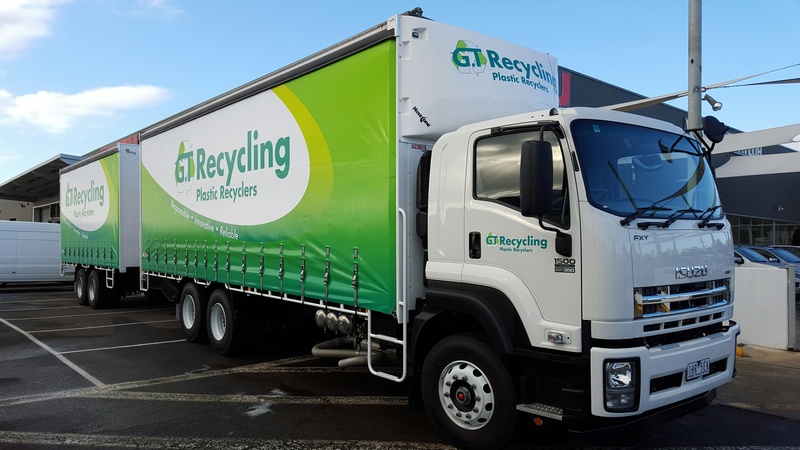 By recycling your plastic and cardboard waste with GT Recycling, you will be reducing the amount of waste destined for landfill while promoting sustainability of a diminishing natural resource. Supply of baled plastic products – PP, HDPE, LDPE, ABS, HIPS, mixed plastic and other products on request. Supported by our modern and innovative production processes, we have specialised vehicle collections and services to meet your requirements. We pride ourselves on the fast and efficient collection services offered by using our own fleet of vehicles and customised collection bins. Our ultimate aim is to assist businesses in saving money by reducing waste to landfill, in an efficient and environmentally sound manner whilst assisting you to meet corporate environmental objectives. When other recyclers say “It’s too hard” we are prepared to go the extra mile to assist in providing an environmentally sustainable recycling solution for your plastic waste. If you have plastic waste that you’re interested in recycling please get in contact via the form below.